chloe is using Smore newsletters to spread the word online. 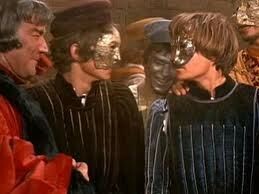 Romeo tells Benvolio That Rosaline is unmoved by Romeos declaration of love since she has vowed to remain chaste. Romeo told Benvolio "She will not stay the siege of loving terms, nor bride the encounter of assailing eyes...for beauty starved with her severity"(line 226-235). Romeo Is in love with Rosaline for her looks and he probably only talked to her once so he really does not know her enough to truly love her but yet he is obsessed with her. His love for Rosaline isn't real. Romeo goes to the mascaraed ball and asks a serving man who the girl with the knight is because Romeo this she is the most beautiful person ever. Romeo asks the serving man "Did my heart love till now? Forswear it sight! for ne'er saw true beauty till this night"(Line 50-51). Romeo just fell in love with this girl Juliet and he hasn't even talked to her yet. Romeo went to this party to see Rosaline who is the "love of his life" and he fell in love with another girl. 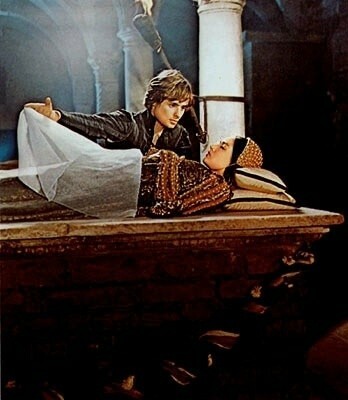 Romeo Comes to find his love Juliet dead he is so sad that he is going to kill himself because he cant be with her. Romeo tells Juliet He is giving her one last kiss before he ends his live "Will I set up my everlasting rest and snake the yoke of inauspicious stars from this world wearied flesh,eyes look your last! Arms take your last embrace and lips, O the doors of breath seal with a righteous kiss" (Lines 112-115). Romeo is going to kill himself because the "love of his Life" is dead and he has only known her for 2 days. Juliet awakens and sees Romeo dead and she kills herself " Do thou call my solution wise and with this knife ill help it presently god joined my heart and Romeos thou are hands"(lines 55-58). 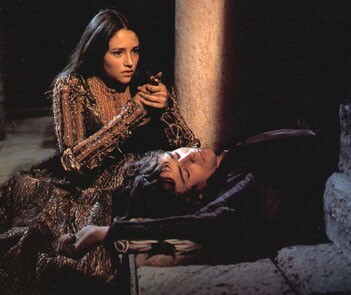 Juliet is willing to kill herself than be with Paris because she loves Romeo and if he cant have her no one can.